Onstage This Week: Vail Dance Fest Comes to an End, Natalia Osipova as Isadora Duncan and More! Aspen Santa Fe Ballet will revive "An Evening with Pianist Joyce Yang" this weekend in Aspen. Photo by Rose Eichenbaum, Courtesy of ASFB. This Sunday, Vail Dance Festival wraps up an eventful few weeks jam-packed with premieres, collaborations and guests. The final week of the festival has us looking forward to appearances from American Ballet Theatre, Ballet Hispánico and more. On August 6, Vail's NOW: Premieres program features new works commissioned for the festival. Choreographers include New York City Ballet star Tiler Peck (making her festival choreographic debut), Lauren Lovette, Justin Peck and Claudia Schreier, who is creating a ballet on dancers from Ballet Hispánico. Tap maverick Michelle Dorrance is also choreographing a piece on American Ballet Theatre, the second of Dorrance's three works on the company this year. Watch some of the same choreographers' premieres at the 2017 edition of NOW below. Mayara Pineiro rehearsing with Helen Pickett for the world premiere of Tilt.Photo by Arian Molina Soca, Courtesy Pennsylvania Ballet. As I watched Helen Pickett rehearse her new work Tilt for Pennsylvania Ballet last week, there was no doubt in my mind that she's a natural leader. Hovering closely around young corps dancer Jack Thomas during a run through, she pushed him to carve more space through the air with his upper body. "Use those hands, do not stop," she said emphatically during a particularly tiring section, at once firm and encouraging. "It should feel like you're eating a meal rather than grazing." Yet earlier, Pickett had admitted to me that when she was first approached by a major company to create a ballet 12 years ago, she questioned her ability to lead. Despite growing up in a feminist household, being surrounded by strong female role models throughout her dancing and acting career, and learning the craft of choreography from William Forsythe at Ballet Frankfurt, she says, "I still gave more credence to male voices than female voices." Her realization is one component of a bigger issue in the dance world: that for all of the droves of women and girls who flock to ballet classes and pursue performance careers, the majority of leadership positions—be it directing, curating or choreographing—are held by men. To help illuminate the topic in advance of Pickett's world premiere November 9–12 , last week Pennsylvania Ballet partnered with Philadelphia's FringeArts to present "Challenges, Chances, Changes: Gender Equity in Concert Dance," a round table discussion among six women leaders in the industry. 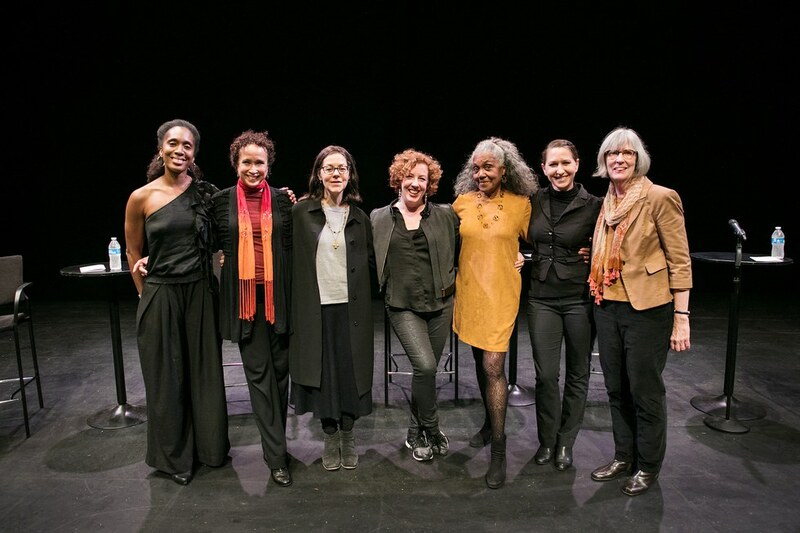 Joining Pickett was Dance Theatre of Harlem artistic director Virginia Johnson; BalletX executive and artistic director Christine Cox; Big Dance Theater choreographer and co-director Annie-B Parson; Philadelphia Dance Projects executive director Terry Fox; and choreographer Francesca Harper, artistic director of the Francesca Harper Project. From left: Francesca Harper, Virginia Johnson, Annie-B Parson, Helen Pickett, Brenda Dixon-Gottschild, Christine Cox and Terry Fox. Photo by Chris Kendig, Courtesy Pennsylvania Ballet. Jo Strømgren may not be a household name for stateside balletomanes (yet), but his work has been performed by dozens of dance, theater and opera companies throughout Europe. He's currently the associate choreographer at Norwegian National Ballet and directs his own dance-theater troupe, Jo Strømgren Kompani. Pointe spoke with this major force in European dance about his premiere, The Letter, at Philadelphia's BalletX, which runs through February 19. Andrea Yorita in Matthew Neenan's Increasing. Photo by Alexander Izilaev, Courtesy BalletX. Cross-training keeps Andrea Yorita prepared for the demanding variety in BalletX's repertoire. Choreographic chameleon: At BalletX, Andrea Yorita performs a wide range of contemporary ballet by dancemakers like Matthew Neenan, Annabelle Lopez Ochoa and Trey McIntyre. “It's very hard on our feet," she says. “Even within a show, we'll go from socks to bare feet to flat shoes to pointe shoes." A solid foundation: To keep their pointework crisp, the dancers typically take class on pointe five days a week. Yorita also does Thera-Band work for her ankles each morning, plus doming exercises. “I try to keep all of those little muscles on the bottom of my feet strong, so I can be grounded when I'm dancing in socks." BalletX's Caili Quan found value in her early years of career building. Photo by Alexander Izilaev, Courtesy BalletX. After two years as a trainee and then one as a second company member at Orlando Ballet, 22-year-old Aurélio Guimarães wasn't able to audition much due to an injury. 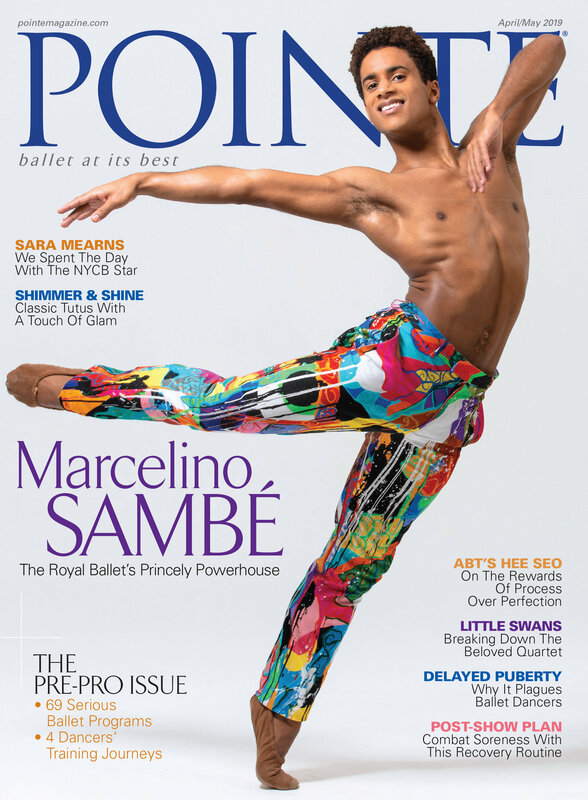 When The Washington Ballet offered him another traineeship, Guimarães debated what to do. He would ultimately be embarking on a fourth year of doing professional work without a livable salary or title. “It was absolutely a hard decision," Guimarães reflects. “But I also had to consider the work that I would be doing." Knowing his traineeship would entail close work with the artistic director, he essentially took a demotion, with the hope that starting over in Washington would yield a paid contract at the end of the year. In the past, it was common for a year or two of apprenticeship to lead directly to a corps contract. But today's ballet world involves more no- to low-paying rungs at the bottom of the ladder. Many companies now have three gatekeepers: trainee programs that are often the top level of the school and involve corps work with the company; second companies that work independently as well as more intimately with the main company; and apprenticeships, the most entry-level rank inside the professional hierarchy.